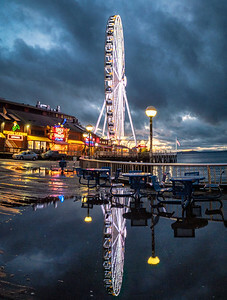 Parallel universe revealed under the boardwalk? 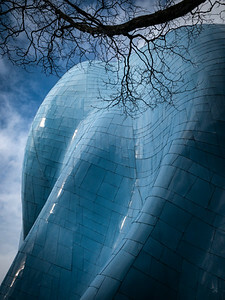 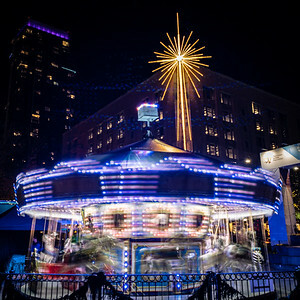 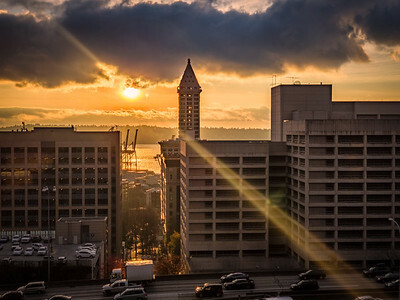 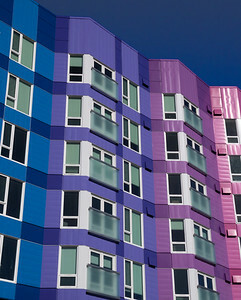 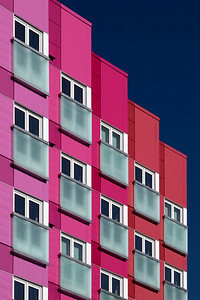 Seattle apparently isn't all just drab & gray in the winter. 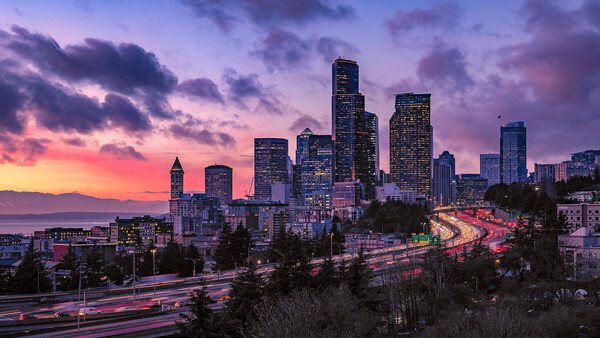 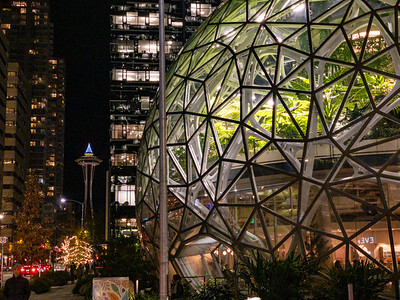 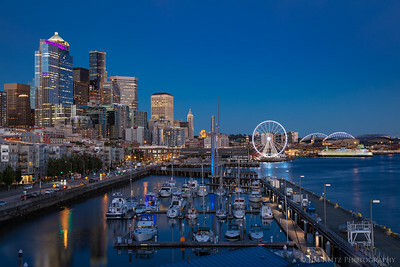 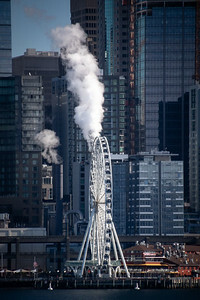 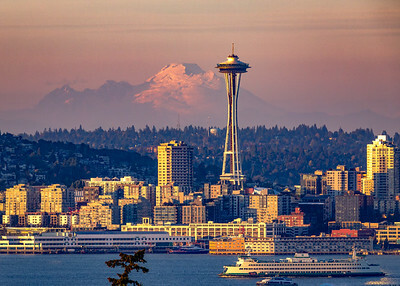 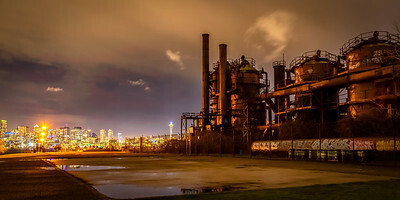 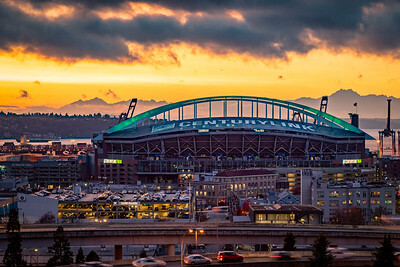 Wide-angle panorama of downtown Seattle with snowy Cascade mountains in the background. 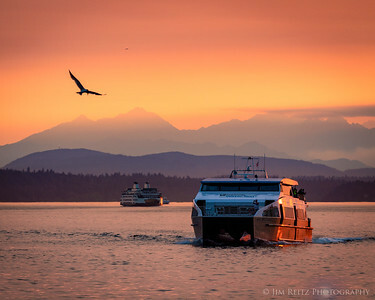 Taken from Bainbridge Island ferry. 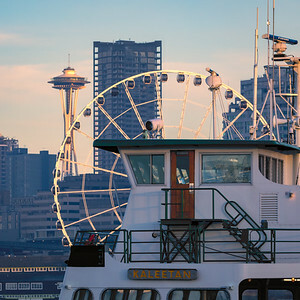 How many Seattle icons can you jam into one photo? 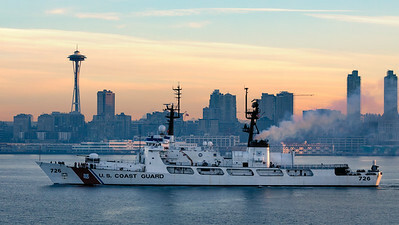 Coast Guard cutter leaving Seattle at sunrise. 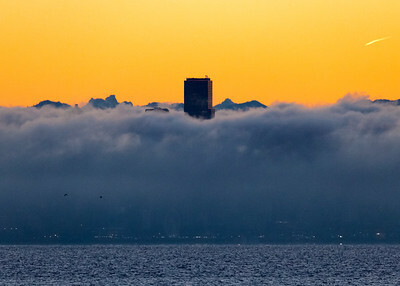 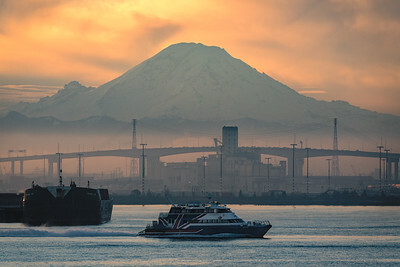 Early morning in Seattle's Elliot Bay - as Mount Rainier looms over the background. 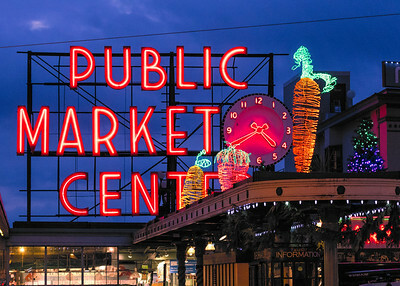 You know it's Christmas season in Seattle when Pike Place Market's giant carrot is all lit up! 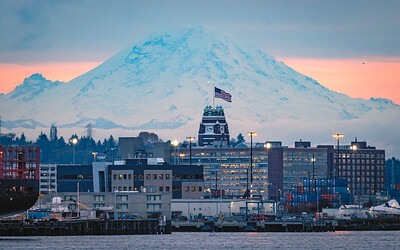 View of Starbucks HQ with Mount Rainier in background, shot from Bainbridge-Seattle ferry. 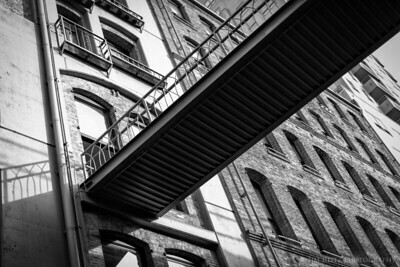 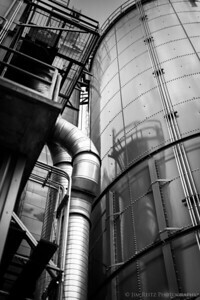 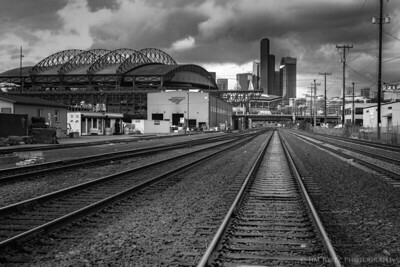 Black & white view of downtown Seattle from SODO area. 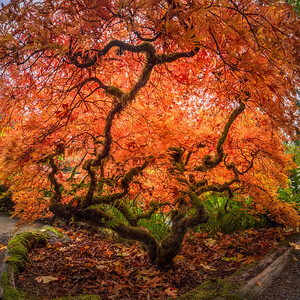 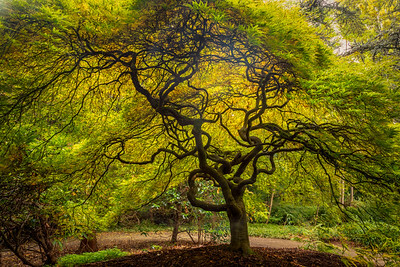 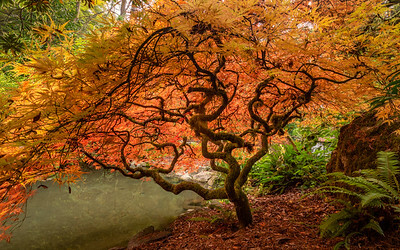 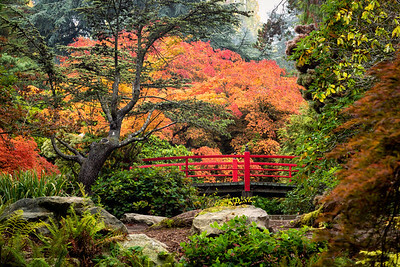 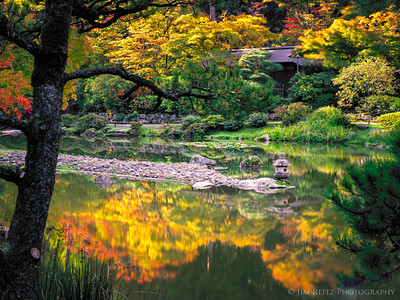 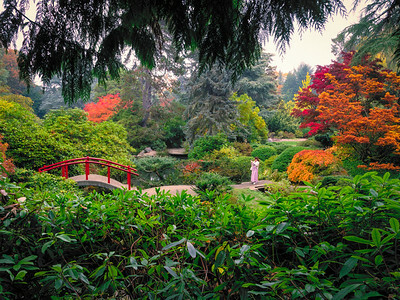 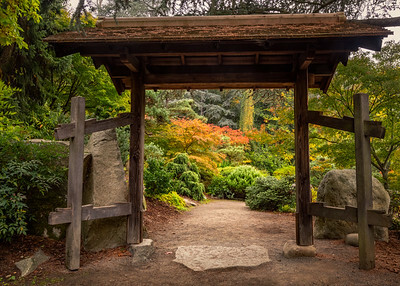 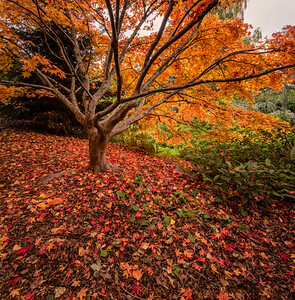 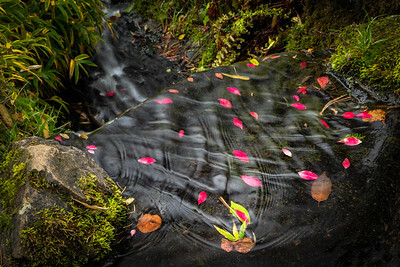 Early autumn colors at the Seattle Japanese Garden this morning. 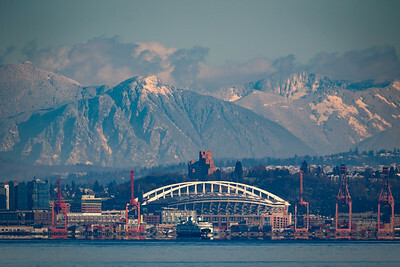 Our OTHER big white volcano - Mt. 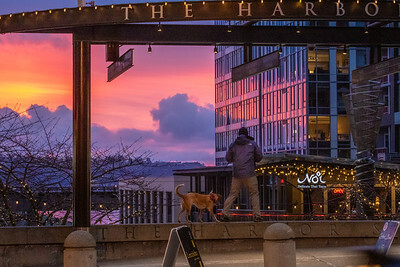 Baker - at sunset, looming behind the Space Needle. 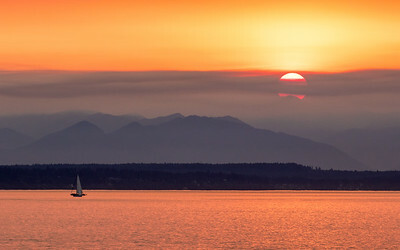 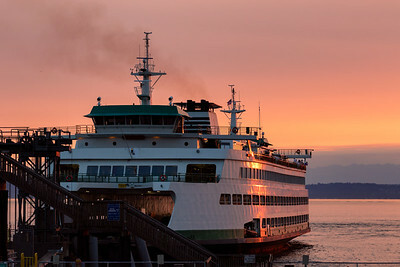 Colorful sunset along Seattle waterfront - due to smoke from Olympic Peninsula wildfire. 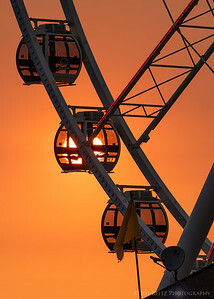 Gondola sunset - Seattle Great Wheel. 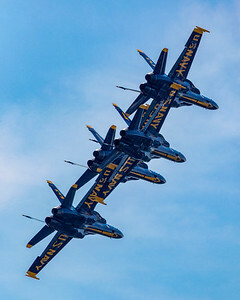 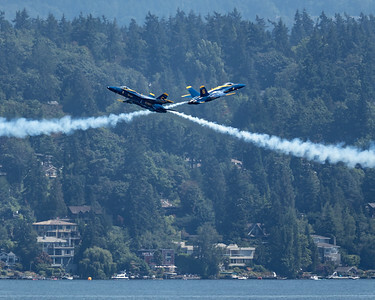 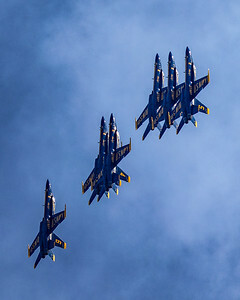 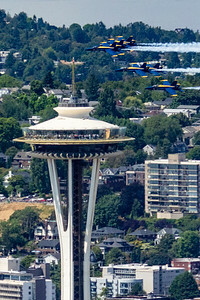 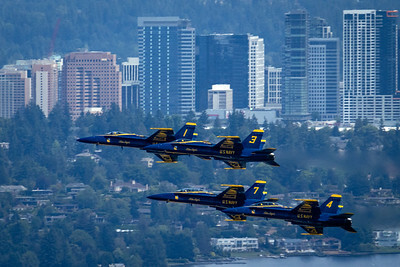 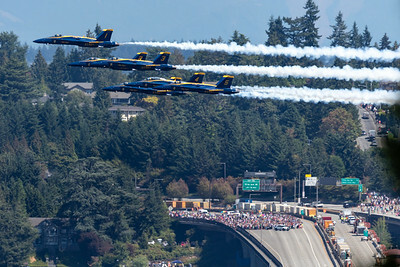 Blue Angels zoom across Seattle's I-90 bridge.